In 2010, something was brewing. Like many genre’s before it, the moniker Chill-Wave was initially meant mockingly, but as the scene started to produce some genuinely great music, that perception changed. Acts like Neon Indian, Washed Out, and Toro Y Moi were following in the footsteps of The Animal Collective and releasing airy, low-fi dream pop that was finding an audience around the country. Meanwhile, in California, a new wave of garage punks were emerging. In San Francisco, Garage Pop blossomed under Girls, who released two of the great rock records of the past few years. Meanwhile, in LA, there was a stoner punk scene exploding, and one of the bands leading that charge was Wavves. Formed in 2008, Wavves garnered a lot of buzz for Nathan Williams ultra lo-fi self released albums. The songs were raw sketches, but it was clear there was some serious passion behind Nathan, and he had the song writing ability to back it up. Then 2009 happened, and everything fell apart. Showing a lack of maturity, Nathan became notorious for canceling shows, or being in no condition to play, while spending his free time mouthing off to the press. Coming home to record, Nathan Williams knew his next release had to be something special. While Nathan has never said it explicitly, it’s commonly believed that “Green Eyes” is about Best Coast mastermind Bethany Cosentino. If this is true, it’s one hell of a tribute. built around a beckoning reprise of “green eyes, I’d run away with you” Williams splits the difference between crooning surf pop and bratty pop punk, all with a booming drum machine clapping along the beat. It sounds like a recipe for disaster, but it works perfectly, as the disparate sounds blend together into a remarkable whole. As Nathan overdubs his voice multiple times and sings “I will try and understand” over and over in a flat nasally voice, the song reaches pop punk transcendence. As “Green Eyes” fades out in the mix, a rumbling horn loop suddenly appears out of the silence. Indistinguishable at first, as the loop gets louder it clicks, that sound is a sample of the opening bars of The Crystals classic Da Doo Ron Ron. How they got this sample past the lawyers is unclear, what is clear is that it was worth the effort. As the loop reaches peak volume, a heavily distorted guitar pierces the song, while a separate chugging guitar fills out the mix. Suddenly a thunderous clap drops, and a looping digital drum machine throws the song into motion. Williams sings through a heavily distorted voice “I never wanna leave home” as layers of his own voice fall in to make lyrics unintelligible. For “Mickey Mouse,” Wavves dropped their punk roots altogether and made a blissed out Animal Collective homage that would fit snuggly amongst that band’s greatest hits. “Linus Spacehead,” the final song of the sequence is Wavves descending back to LA and kicking out a classic pop punk track. The song is just a smooth riff repeated over and over as Nathan finds as many ways as he can to tell the listener he’s stoned on the beach. While Linus Spacehead is more in line with the classic sound Wavves had been built upon, that isn’t to say it sounds like their old stuff. On earlier releases Williams never would have had the patience get the guitar parts to sound that clean, and their old drummer wouldn’t have been able to keep this kind of momentum up, and hit the tight breaks breaks that give the songs it’s flavor. Linus Spacehead may be a traditional Wavves song, but by King Of The Beach that meant it was probably pretty good. After King Of The Beach, Nathan Williams seemed to grow up a lot. The commercial success of the album (#168 with a bullet!) 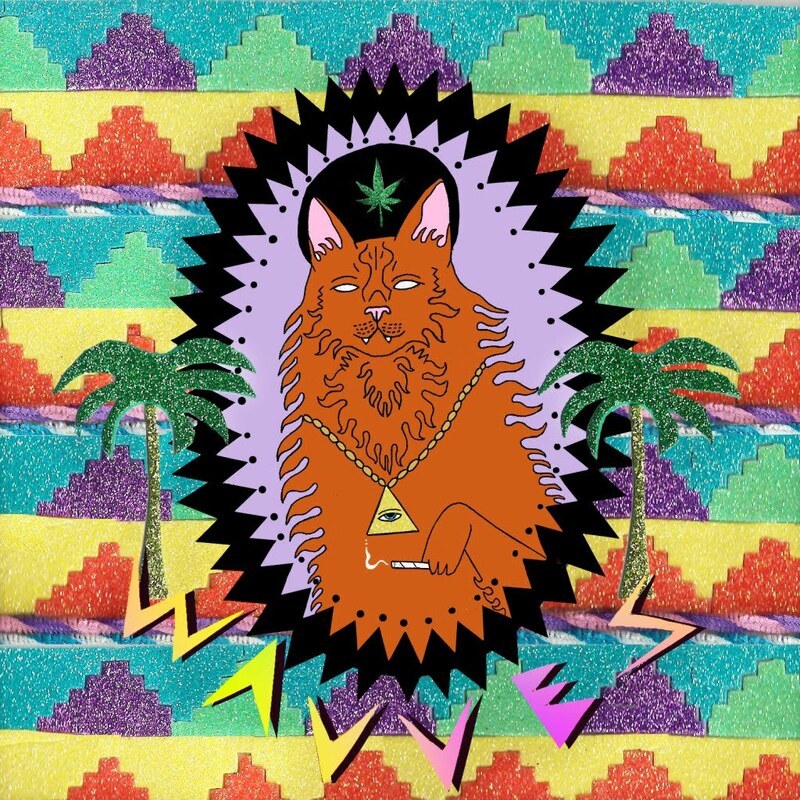 coupled with it’s diverse soundscape garnered Wavves a lot of new fans. The revamped band went out on tour, playing fairly high bills at festivals, and opening for big time arena acts like Phoenix, with no signs of the irresponsibility that had defined Williams in the past. Proving adept at working in the industry, Wavves released another successful album in 2013, and Williams now runs a record label and owns a home. 2010 was an exciting year for music, and on King Of The Beach, Williams was able to harness several of those exciting new sounds into something of a stoned, shaggy masterpiece. Visit The “Plastic Beach” In This Beautiful Weather!